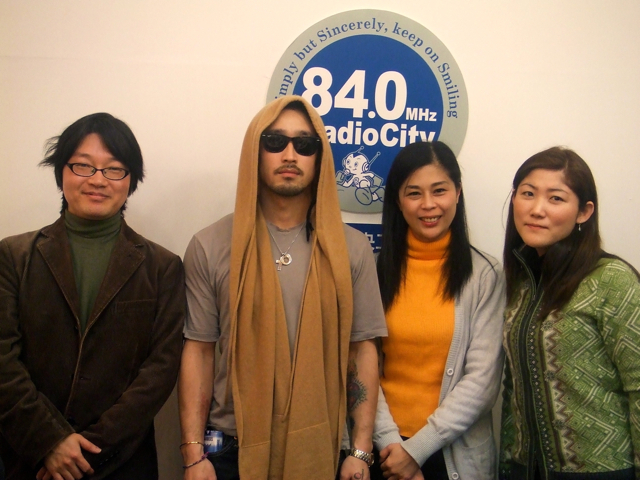 The day is finally here… Our radio show which has been broadcasted since April 2010 has ended tonight. Let me tell you how the show started. I didn’t expect that I would be a radio personality at all, I just wanted to spread the word about my activities. 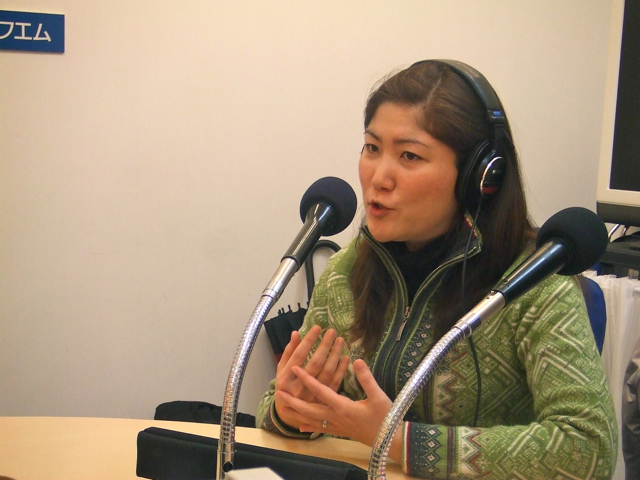 So I sent tons of mails to all community radio stations, like “Could I have a 5-minute talk about what I’m doing on your program?” No other stations beside Chuo FM gave me a favorable reply! 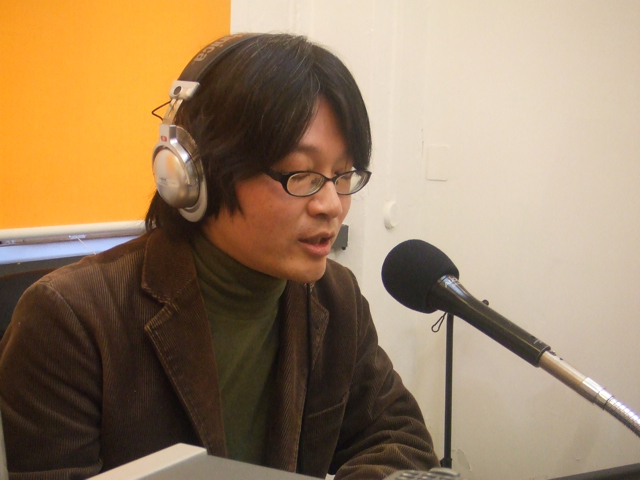 Then I went to the studio of Chuo FM. I was asked to be a host of a radio program! I had no experience of hosting any program or even any drinking party. 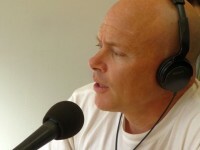 But to be honest, I wanted to talk in front of a microphone if the opportunity arose because I’m a big fan of radio! I didn’t have confidence to produce an interesting program alone. So I asked Ekaterina, a Russian singer who resides in Chuo-ku, to be my co-host. 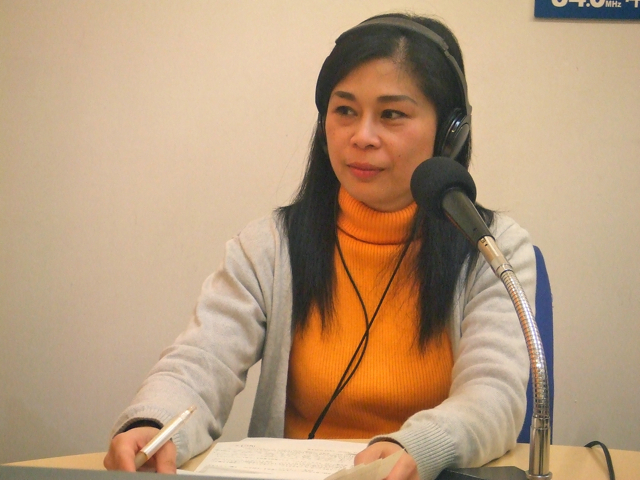 I wanted to hear the stories from foreigners, so I needed a person like her. She said YES. Then I made a show plan with Chuo FM staffs, wrote a script, brushed it up with staffs and… voices of Ekaterina & me were aired on the radio. 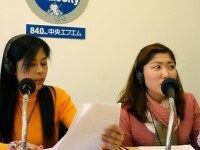 We were trying to bring you foreigners’ voices as many as we could so that Japanese people would feel familiar to them. As a result, a total of 37 people that are from 16 countries came to join us. Then we advanced to the next stage. Our new mission was to be a bridge between Japanese & foreigners. So I planned to broadcast the show in English & Japanese. In order to realize that, I needed excellent bilingual people. I thought of women who live in Tsukishima Area whom I’d already met beforehand. I talked them about my plan and they said OK. If they said No, I was going to leave airwaves! Then the renewed My Eyes Tokyo started on April 9, 2011. 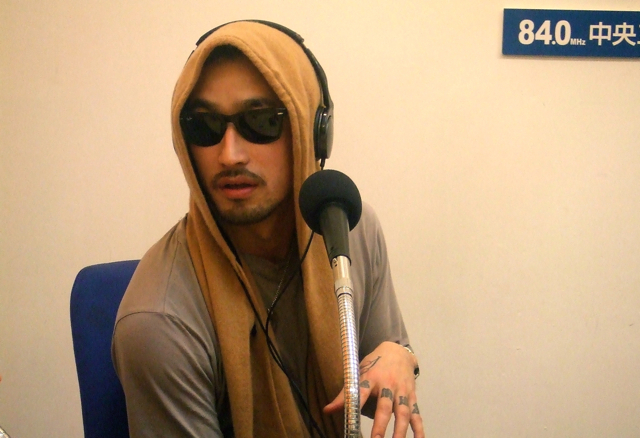 Renewed show started right after 311, so we tried to hear the stories from foreigners who were visited by the earthquake, who were trying to give a helping hand to victims and we learned how they felt about the disaster and what they needed to have in an emergency. We also talked about the different topics, such as being a bridge between different cultures like us. We had as many as 59 people as guests in 2 years! Thank you very much for people who spent time for us! We would like to show some comments from some guests. “I was offered to talk on your show, but I was kind of nervous because I was not sure if I was a right person as a guest. 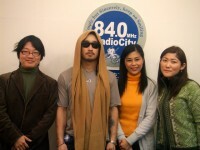 It was the first experience for me to visit the radio station and was really impressive. Also I thought that it would be very hard to manage the team. Mr. Tokuhashi and women got along just fine and I thought you guys had a totally different talent from mine after the recording. I guess your program, which is broadcasted both in English & Japanese, is really valuable. Thank you very much for the warmest remarks! 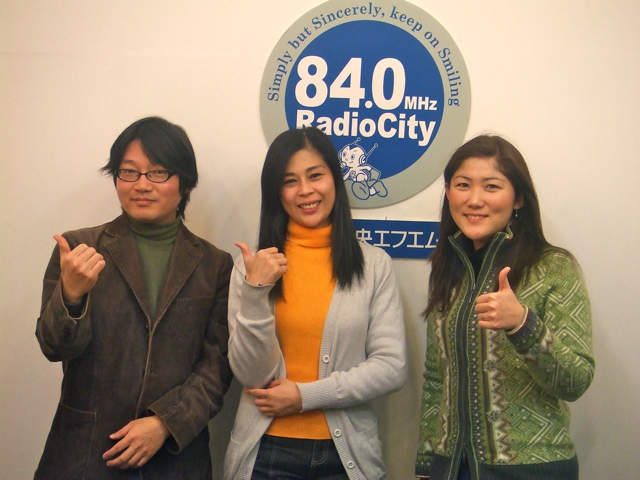 And thank you very much for all guests, listeners, and of course, Chuo FM staffs!! Now the new doors to the stage of life has opened. 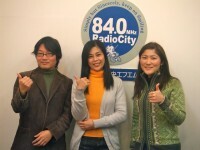 Arlene and Maya will open their own cafe in Tsukishima around mid April. And I keep interviewing with people and am planning to start a new project for women. Also I’ll establish my own co-working space and bring you every single thing which will happen there through My Eyes Tokyo website or the SNS called “metters”. Then I would like to create places to interact with people regardless of nationality/races. Of course I’ll hold events at Arlene/Maya’s cafe, so I’m looking forward to seeing you there even after leaving airwaves! Tonight we talked to Michelle Eyre, a.k.a. Michiko Ota. 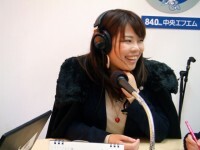 She is a director of “J1 Radio”, the internet radio station based in the US which plays Japanese POP (J-POP) 24/7. You can listen to it from here (Registration needed). She’s been listening to our program since we started to bring you in E/J. 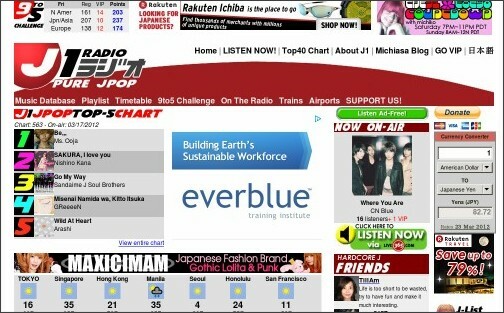 Even though she’s been in Japan only for a short time, why did she launch such a big Japanese music station in the US? Also why does she call herself “Michiko Ota（太田道子）”? Listen to the tonight show and find the answers! 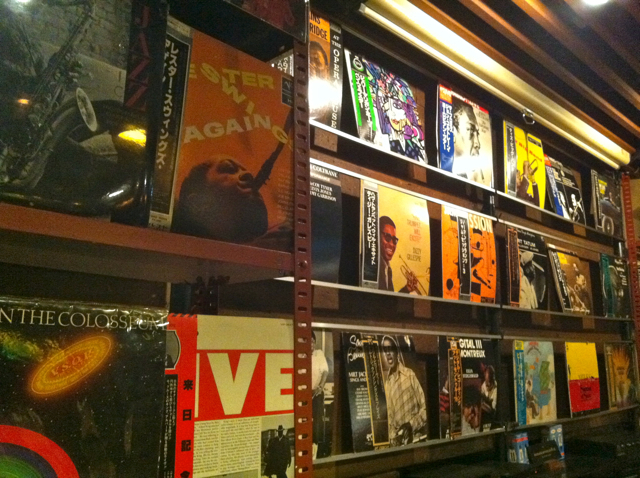 BTW, after we leave the airwaves on Mach 31 2012, you can see Arlene and Maya at a certain place! 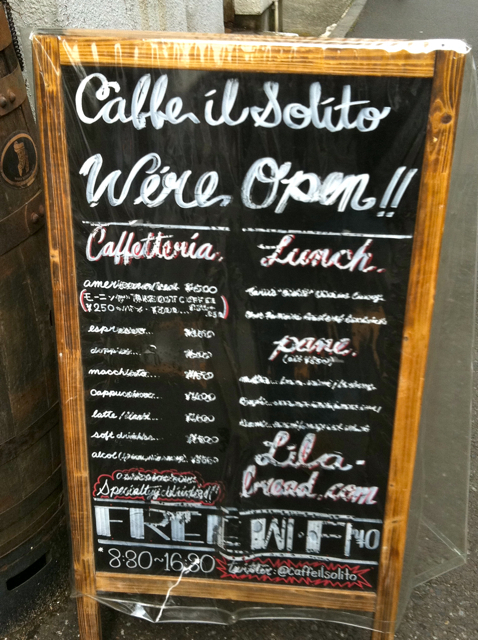 they’re now preparing for the opening of their own cafe in Tsukishima, Chuo-ku. It features coffee & crepe, cakes and English conversation. As you know, they’re multilingual so feel free to come and enjoy the international atmosphere in one of the Tokyo’s traditional areas! It will open around mid April! We had a Hawaii-born Japanese American guy who has been supporting the earthquake victims from the heart of Chuo City. 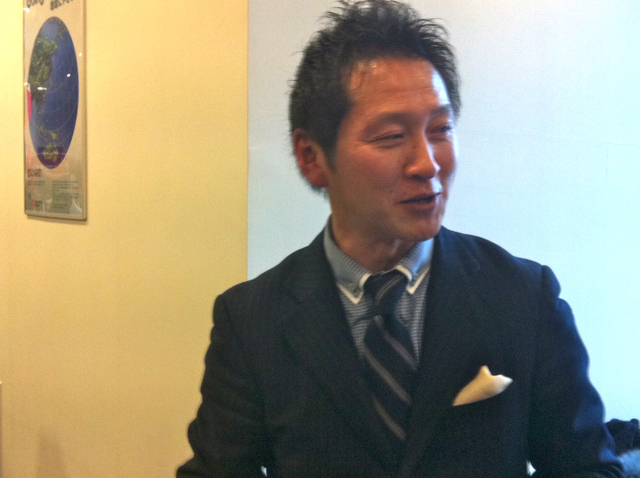 Glen Hikari Onodera, a manager of “Il Solito”, cafe in Ginza 6-chome. 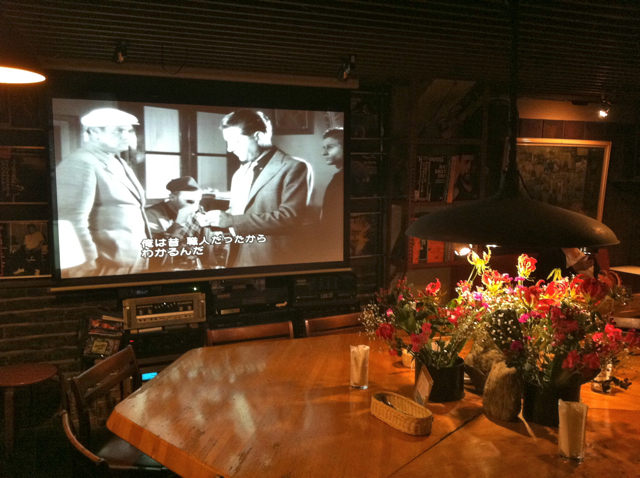 Glen’s cafe is located inside the 59 year-old bar called “TARU”. Glen manages the cafe there and it turns into the cool bar in the nighttime. Glen serves curried rice meals for lunch. It’s really mild, not too spicy and of course really delicious! 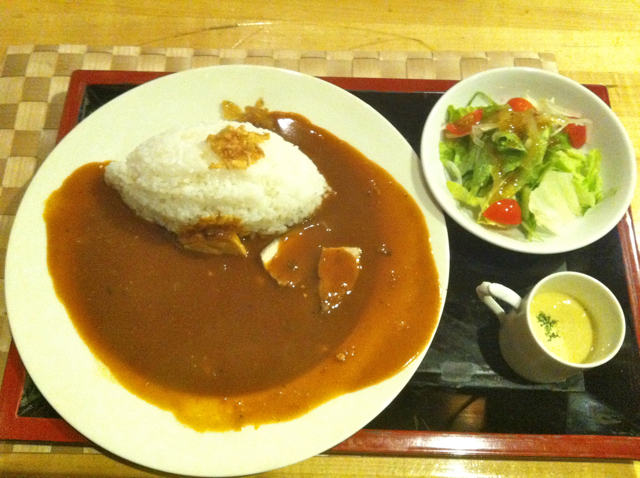 Then it sells for ¥500 including salad and a small cup of soup. Incredibly reasonable! Moreover, they serve it with coffee to the victims for free! Il Solito didn’t exist on March 11, 2011. 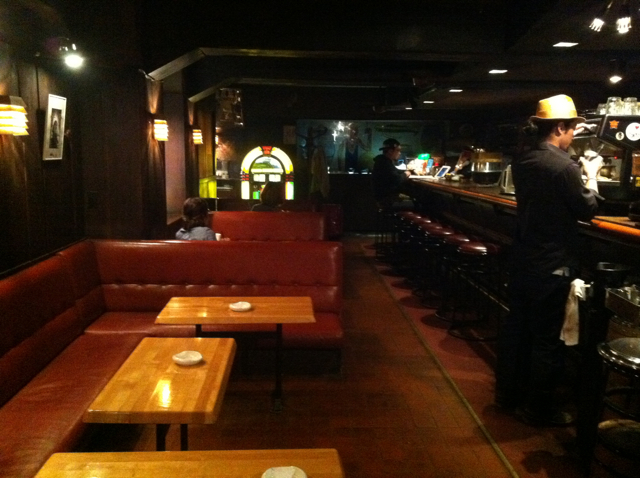 Glen was at another bar in Ginza which he was involved in. Moreover his wife is from Iwaki, Fukushima Pref, where is one of the devastated areas so he has been there many times since before March 11. Also he volunteered at the Ajinomoto Stadium, designated evacuation site which is located in the suburb of Tokyo, to support the evacuee from Tohoku. His cafe opened last June. 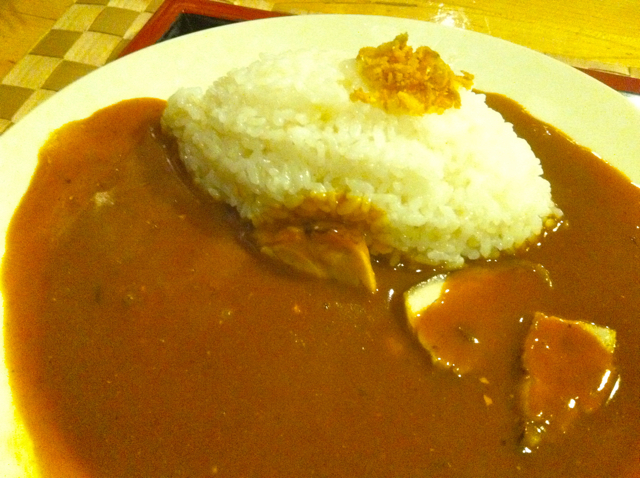 Glen asked the manager of TARU if he could serve a manager’s curried rice to evacuees for free. He said yes. Glen wants evacuees to relax with a delicious curry meal, a cup of coffee and old black & white cinemas at a laid-back 60 year-old cafe. Then the special concert will be brought to you by Glen on March 30 (Fri)! 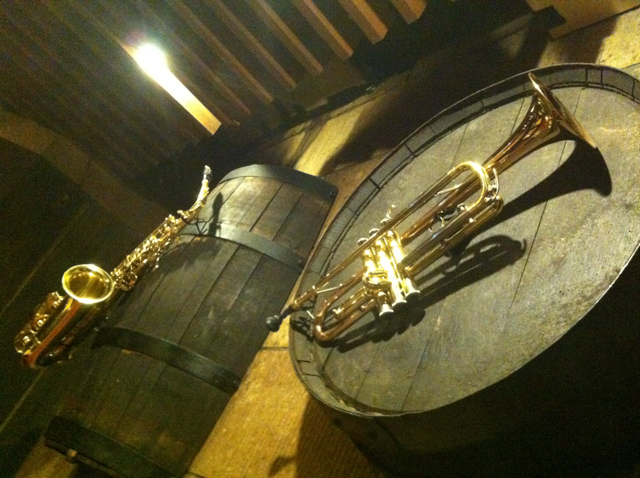 It’s called “Haru No Ibuki (A Breath of Spring) which will be held in Ginza Oji Hall. He will play the guitar, percussion etc. with wonderful performers so don’t miss it! Also we have to tell you something. 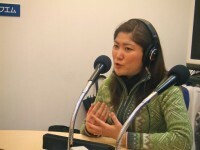 This program, which has been broadcasted since April 2010, will end on March 31, 2012 (*It’s rerun will be aired on April 5). Thank you very much for you all who’ve supported the program! We still have two more sessions. Next week we’ll call a big fan of My Eyes Tokyo, so don’t miss it! Tonight we introduced you to a man who’s been trying to attract people to Japan. 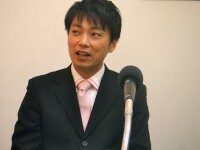 He is Ken-ichi Watanabe, representative of “Genki Japan”. 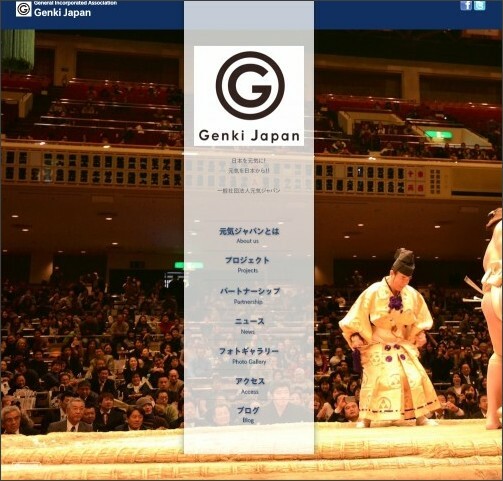 *”Genki” means vital or vigorous. He couldn’t join us tonight because he is really busy. But we recorded his voice. As you see the picture above, he is a young gentleman. 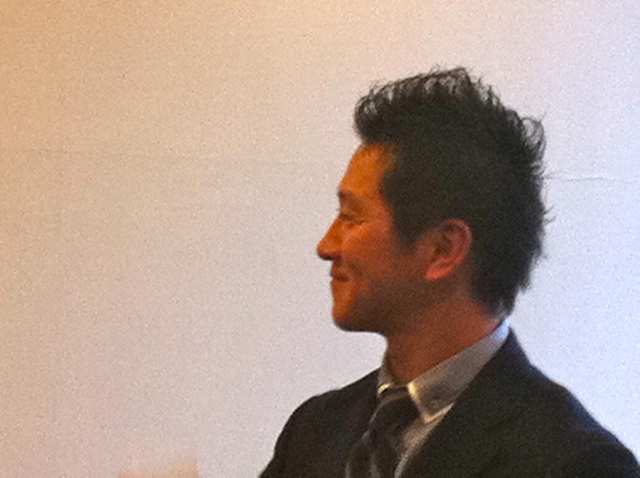 He talked to us calmly, but we felt his passion for rejuvenation of Japan. You’ll feel it as you hit the play button above. 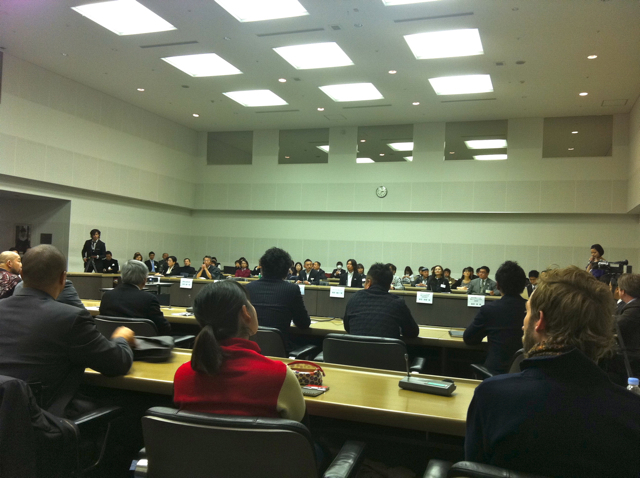 Watanabe held a big symposium called “Beyond Japan Meeting” on Feb 13 (Mon) at United Nation University in Tokyo. “Beyond Japan” means transmitting the high quality information about unknown Japanese culture to the world. He tries to spread the info of Japanese traditional culture/craftsman, world/local heritage sites etc around the globe. This project originates from “Life Beyond Tourism“, the international guideline of culture/tourism. 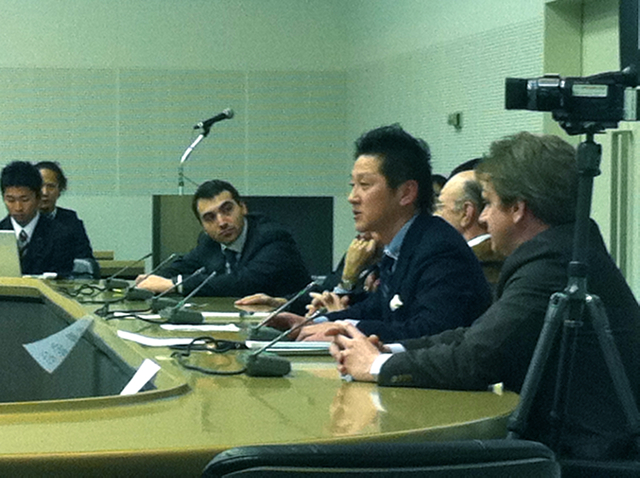 So “Beyond Japan Meeting” was held to celebrate a kickoff of the “Life Beyond Tourism” in Japan. Panelists included a former sumo wrestler, a former village mayor of Shirakawa (World Heritage Site), the head of Alain Ducasse Japan, a sword fight arranger who appeared in a Quentin Tarantino’s “Kill Bill”, a cuisine professional who researches samurai dishes. They really love Japanese culture, that’s why they want to let people around the world know about what they love. We’ll continue to bring you his interview next week. Watanabe said, “Only 2 or 3 % of Japanese cultural stuff was transmitted to the world.” That means the people of the world don’t yet know almost all of Japanese things. We My Eyes Tokyo also want whole world to know about Japan a lot more, so we’ll help his activities!